This should be your attitude when dealing with emergency management. You must be aware that an emergency can never be prevented at 100%, a certain residual risk will always be present. Therefore, we must pay attention to this topic in order to reduce this residual risk as much as possible. Ignoring this issue is no solution either! Nevertheless, keep in mind that the cost should never exceed the benefit. Proper contingency planning can minimise the probability of an emergency scenario occurring. Appropriate training helps you to prepare for the use of a contingency plan. It is often handy to perform such training exercises during scheduled maintenance periods. For example, maintenance of the electrical installation in the company building could be used to test the measures planned to counteract a power supply failure. Of course, this involves even more work, but it is essential to test such a plan for functionality and completeness. Don’t let yourself be fooled – this will not be easy! But with some training, the people involved will soon be more familiar with the measures documented in the individual contingency plans. In a real emergency, the pressure to get things working again and the general commotion will add to it, but these factors can hardly be simulated. Repeated training, however, will make emergencies lose some of their horror. – a Part B for contingency plans. Create a template for your contingency plan documentation, as described below. 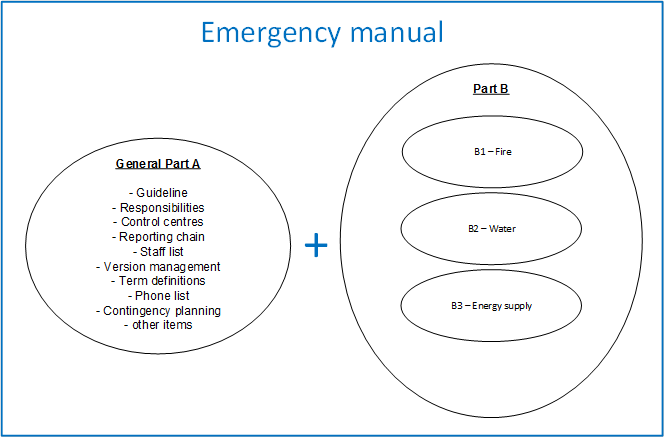 Part A has to be created only once, while a dedicated part B is required for each emergency scenario identified. All this taken together forms the emergency manual. Part A of the manual should contain the points listed below. This list is not meant to be exhaustive, you will certainly find points you would like to add. – Term definitions: what is an operational disruption, an accident, an emergency, a crisis, a disaster? Which criteria must be met, e.g. amount of damage, expected period of disruption. – Reporting chain – who may declare an emergency, how will it be communicated? – PR department / communication with third parties: who may communicate which information? – Reference to the training schedule. This schedule should be kept separately (e.g. as project schedule) because this document is likely to be edited frequently. – Storage of printed and electronic versions, important for the update service. For Part B, there are some emergency scenarios to be documented generically. Of course, specific plans may be necessary for each company. Here, corporate risk management plays an important role because it might identify risks for which a contingency plan is required due to the expected impacts. In most cases, a sixth contingency plan, i.e. “Release of substances hazardous to water” can be added. This is an event that might occur in many companies, for example in connection with company vehicles or storage areas. What is the reporting chain to be used? Also document expected feedback. In case a damage occurs: actions to be taken in chronological order. You can document IT emergencies in a separate Part B of the emergency manual and link to the separate IT emergency manual. Otherwise, there might be IT security conflicts because readers might derive possible security gaps from the plans and measures described there. An IT emergency needs not end in an emergency for the whole company. Preventive measures, such as redundant hardware, can minimise the impact on the company. This, however, is a function of internal risk assessment by the IT department. For this reason, it might make sense to consider emergency management for the IT department separately. So if IT emergency management exists in your company, make sure to align the manuals with each other. Always consider interfaces to other systems such as risk management and fire protection. All these measures must be intertwined and complement each other. 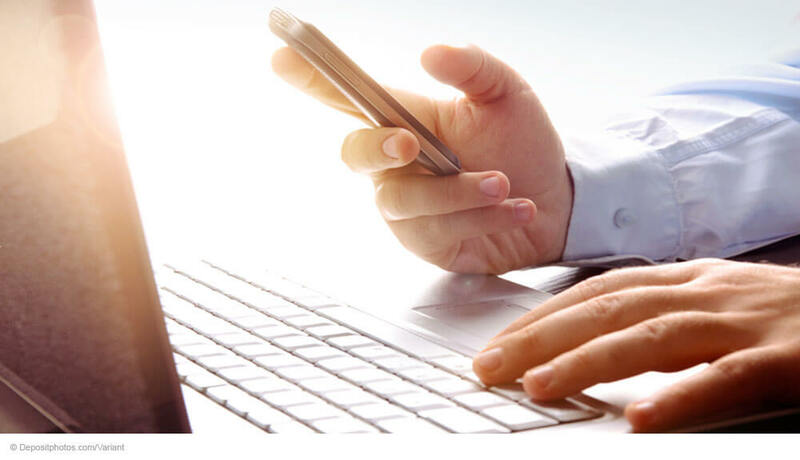 Read the second part of this post to learn how to continue with the creation of your emergency manual and what else must be taken into account.